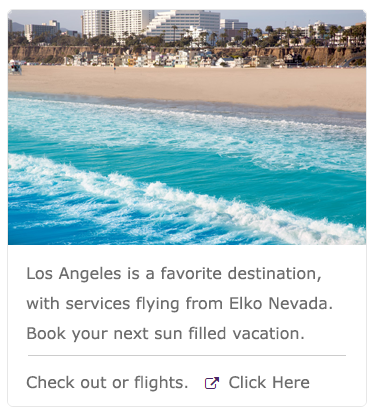 Scroll down the page to learn more about each service & amenity. 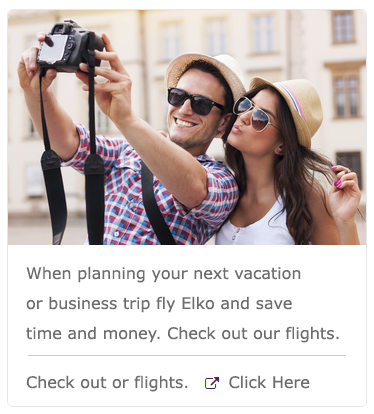 Traveler Using the Free Wi-Fi Sponsored by Elko Regional Airport. The photo above shows a traveler using the Wi-Fi while waiting for their flight. 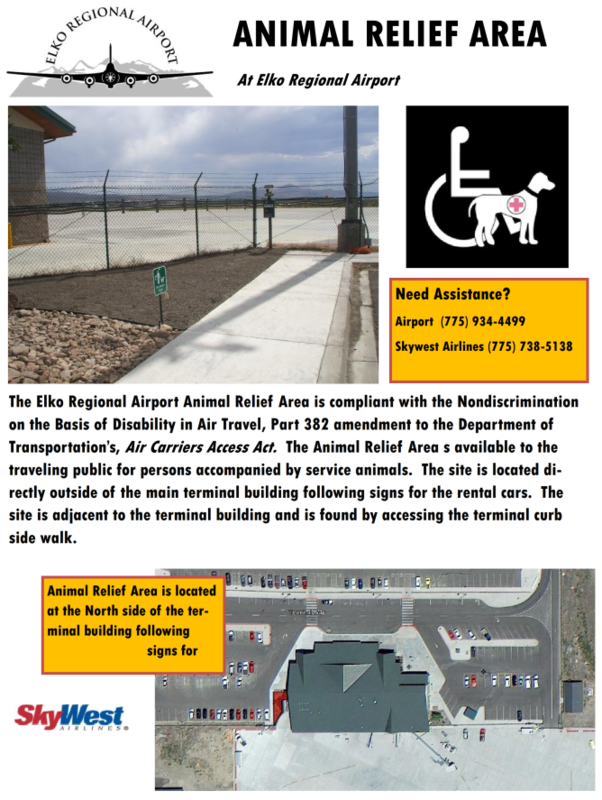 The Animal Relief Area is provided to persons accompanied by service animals and is compliant with the Air Carriers Access Act. We offer free business center with charging station and work area. We proudly display an instalation donated to the Airport by the Northeastern Nevada Museum. 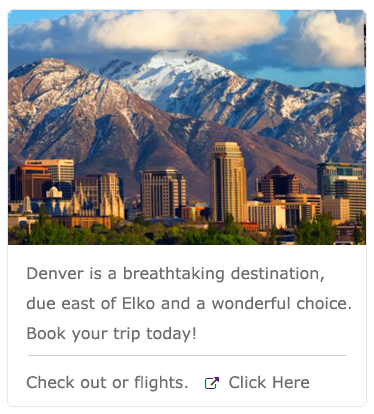 Click here to visit the museum web page. We have a special display honoring the museum and all the people who have come before us.